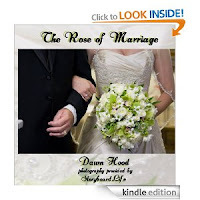 Welcome to bookaholics where today I am reviewing two books by Christian author Dawn Hood. The first one is for married couples and the second is a children's bible study. The Rose of Marriage is a short book which, despite its size, is packed full of wisdom and advice. It looks at marriage as being like a rose. The different parts of growing roses is likened to the stages required to grow a strong and healthy marriage. It also talks about the place of God in marriage. I am not married, but if I were to get married, this is the sort of book I would want. It is beautifully illustrated and the pictures serve to strengthen the advice given. This would be the perfect gift for people who are getting married, but in particular the bride. I think this is, overall, a beautiful little book. This is a lovely little bible study book for young children. 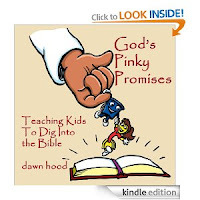 It helps children to dig a little deeper into God's word, so hence the bucket and spade illustrations aka Bucky and Scoop. I liked these characters but they are not the emphasis of the book. The emphasis is God's word in the bible. Each study has several different sections - Lets explore, Scratch the Surface (the bible verse to be studied), Move the dirt around, Uncover something new, Dig a little deeper, and Pack it in memory verse. These easy stages help children to think more deeply about what they are reading in the bible. I would say that a seven or eight year old would be able to do this study by themselves with a little bit of input from parents. However, it may be better if parents and children do it together as some of the concepts and words may be a little difficult to grasp. I think this is a welcome addition to the field of children's bible studies. I was given copies of both of these books for review purposes. This has in no way influenced my review which is fair and honest based on my reading of the books.